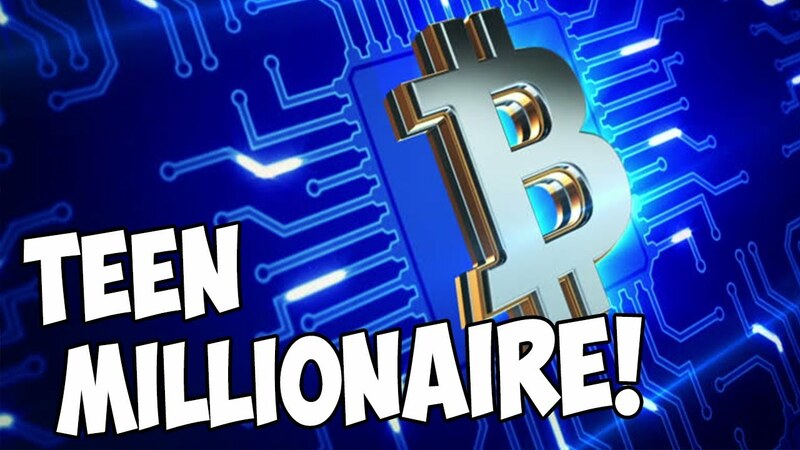 Erik Finman is a 19 year old lad who has become millionaire by investing in Bitcoins. Recently, he came live on a TV show and offered an interesting piece of advice to the people who are looking to have an investment in the crypto currency phenomenon. He said that one needs to be very clear of what he is good at and then only he can realize the way of becoming rich by doing what one is good at! He demonstrated his views on social media platform Twitter as; in order to start earlier investing one needs to firmly establish an additional source of income. Currently Mr. Erik Finman owns more than 400 Bitcoins which was confirmed by the CNBC news channel and this corpus in Bitcoins amounts to almost 4 Million US dollars if we take up the current price of 11,182 US dollars for a single coin. He started investing in the Bitcoin phenomenon in the month of May in the year 2011 after he received a gift from his grandmother of 1000 US dollars when he was just 12 years old boy. He said that he was interested in politics when since he was a little and this is what which has brought him to the domain of Bitcoin and crypto currency in the initial years. In his view, the crypto currency phenomenon is an awesome way by which one can surpass the formal financial sector which includes even the Wall Street. But we know that financial experts of the stature of Mr. Warren Buffet have cautioned against the urge to invest in crypto currency in general, and Bitcoin in particular. One of the world's richest persons Mr. Buffett has demonstrated his views as he has zero confidence that crypto currencies would work in anyway. As per his views the phenomenon has to die down very soon resulting in a very pathetic end for the investors. There are other people who have become billionaires by investing in crypto currencies who have cautioned against investing in Bitcoin by questioning people to not go by the marketing but to use their own brains of when to invest and when to take out your money. However, Mr. Finman has refuted such claims by countering the claim that Bitcoin is not real money but is a number on the computer to which he replied as bank account is also a number on the computer which is controlled by the Federal Reserve of United States. He says that Bitcoin or any other crypto currency is as worthwhile as the United States dollar; the only difference being that dollars could be minted endlessly! This 19 year old guy is extremely positive and optimistic about the future prospects of the Bitcoin and has on occasions advised people to take part in this craziness regarding the crypto world. He thinks that crypto currency phenomenon is a way by which even the poor people on the streets can also become rich by intelligently playing their stakes in investments in crypto currencies.